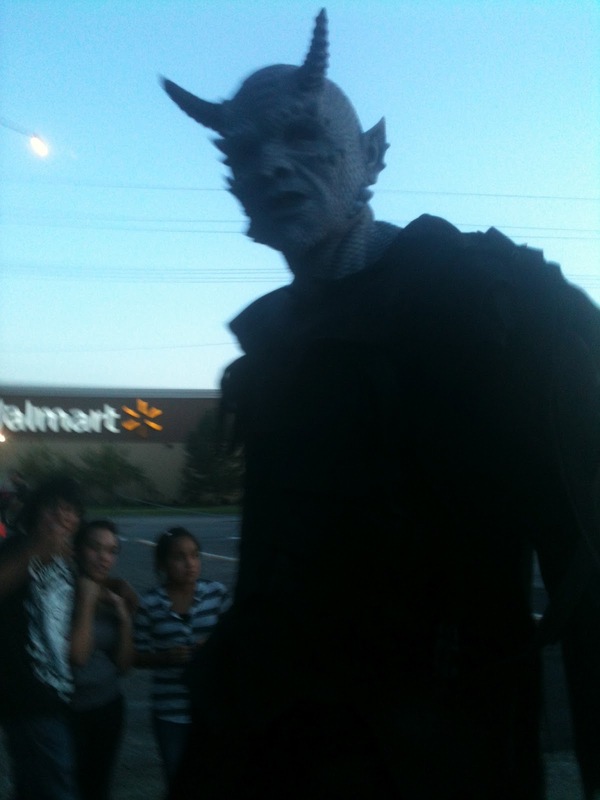 Thanks to Troy at Nightmare on 13th for letting us check out Nightmare On 13th 2012 for our readers! By Chad Gines, field expert for Enjoy Utah! 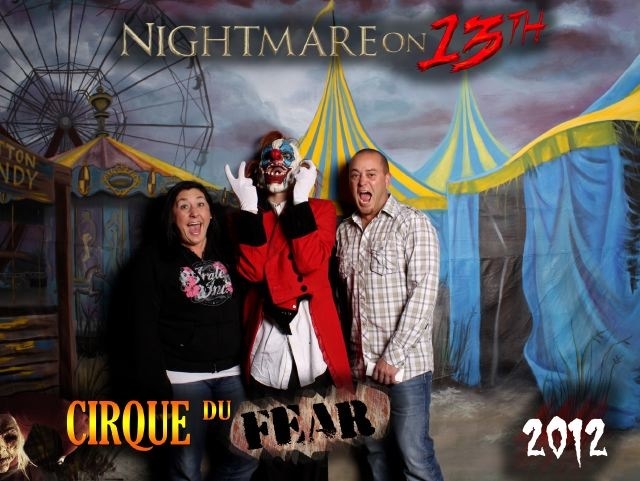 Jen and I got to experience Nightmare on 13th for 2012. This place has been one of my favorite haunted houses for many years. I had heard that they made many changes this year which got me curious if they could make such a fun experience better or if it would suffer from the changes. When we arrived I was very pleased to see that the fun still starts the moment you get out of your car. 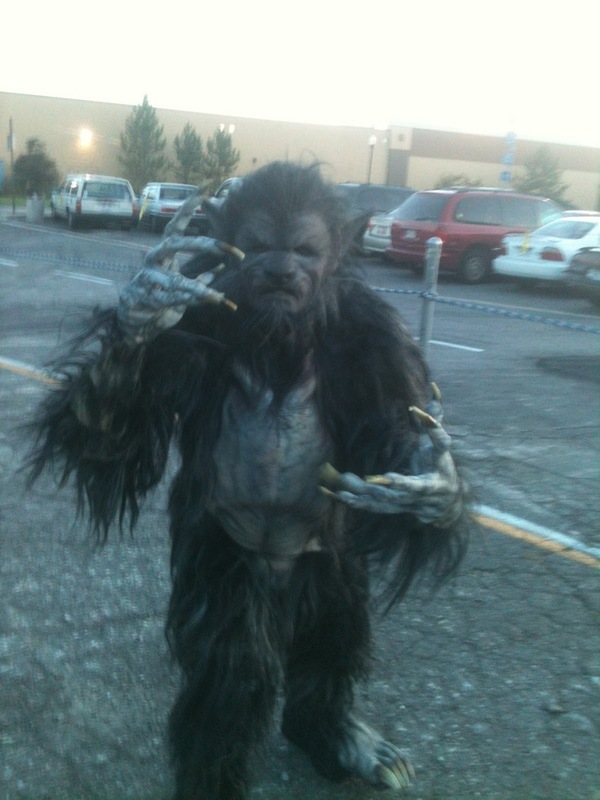 Many horrific creatures wander the parking lot interacting with and scaring everyone, making you question if you dare go into this evil looking building. We got our tickets and opted out of purchasing the VIP entrance just for the mere fact that even waiting in line has been made part of the experience. 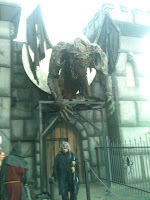 They have a large beast standing over the entrance warning about the terrifying creatures you are about to encounter if you dare enter. 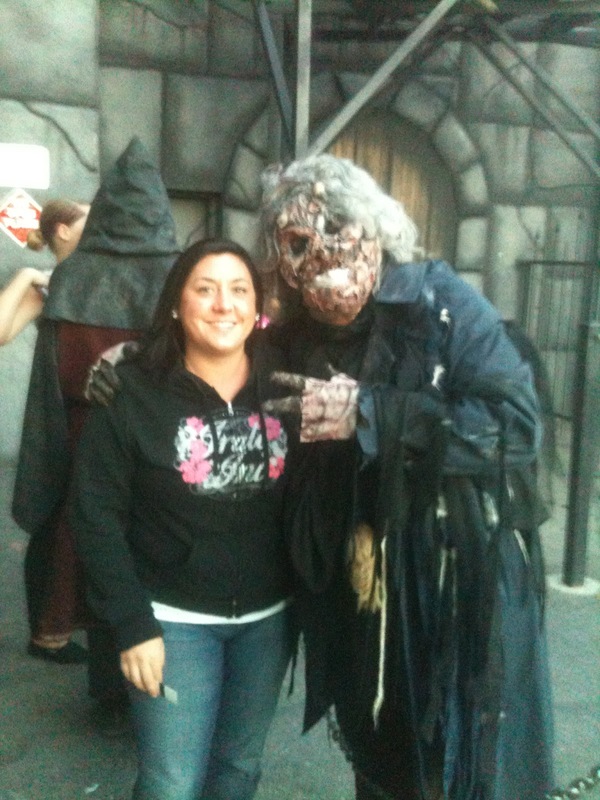 Once inside the building they take you into a room and have you pose with a scary creature for a photo opportunity that you can purchase IF you make it through the haunted house alive. 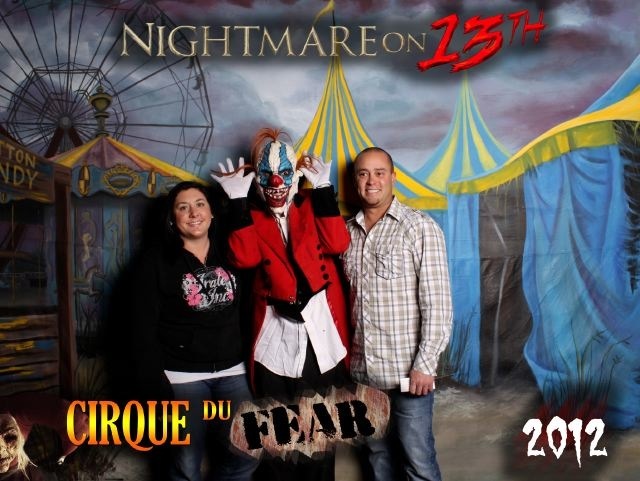 We took two pictures with a very psychotic looking clown. We then moved into a large room where they have a show and a narrator explaining the three different areas you are going to experience. Moving from that room to the first area called Netherbeast. We slowly found our way around this swampy forest like area inhabited by some of the hairiest horrible looking beasts you could imagine. With how many times I got startled and scared I thought for sure I would get used to it but it just kept getting scarier the further we went. After the Netherbeast area we got into a twisted evil circus like area called Cirque de Fear. This place is like a demented fun house that could have only been imagined in the worst of all nightmares. The optical illusions and twisted rooms you make your way through are only made more terrifying by the laughing evil clowns and blood curdling screams you hear from other people. 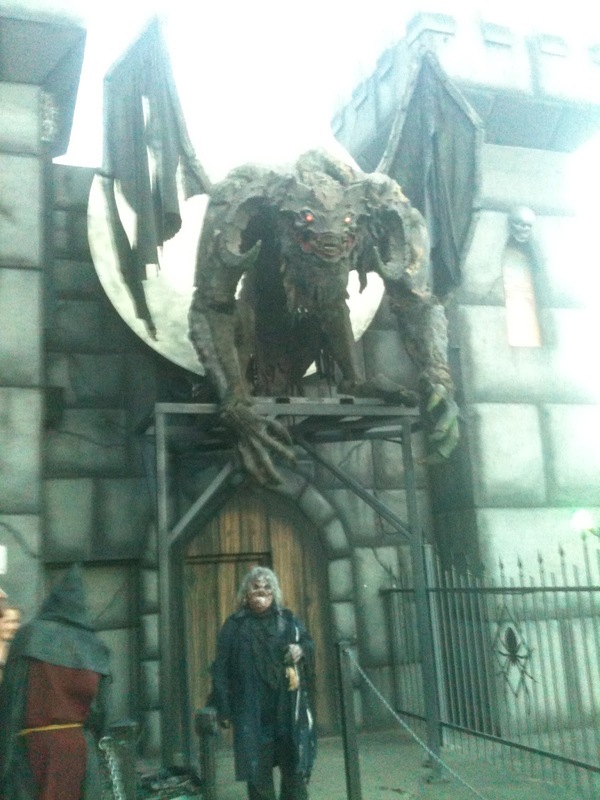 If you think haunted houses don’t scare you, this area will prove you wrong. The final area is the Zombie Apocalypse. On first entry of this area you are warned that the Mayan calendar has ended and all the dead are alive and are taking over the world. This post apocalyptic area takes you into a city overtaken by zombies looking for their next meal. As you navigate this area it is very easy to get turned around and feel lost like you might not be able to escape this horrible terrifying world. If you are lucky enough to escape the zombies and make it into the decontamination zone you will exit into a waiting room where you can view and buy your pictures that were taken before the tour started. 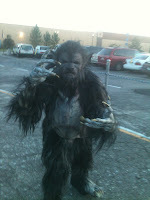 I really enjoyed this years Nightmare on 13th and strongly recommend going. All the changes that were made from last year surprised me on how great they were. Autumn in Utah is one of my favorite seasons and great haunted houses like this are one of the many reasons why I welcome this time of year. If you are looking for a great date or family night this Halloween season, don’t miss out on this horrifying but safe adventure. Even though Enjoy Utah was provided two complimentary tickets to check out Nightmare on 13th, we were not compensated for our review, and the opinions and views expressed are all our own. We were not persuaded to write any certain type of review.